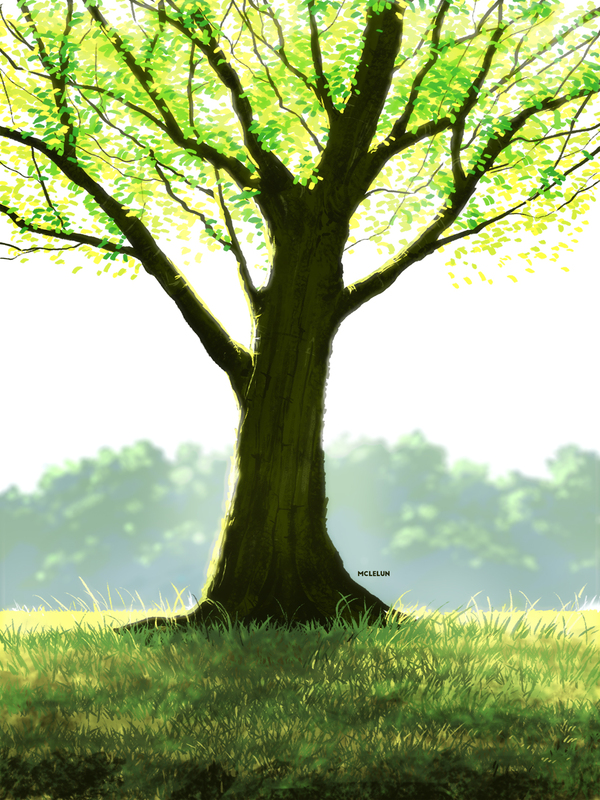 Painting a simple tree scene using only one Photoshop default brush, "Oil Pastel Large Size 63". 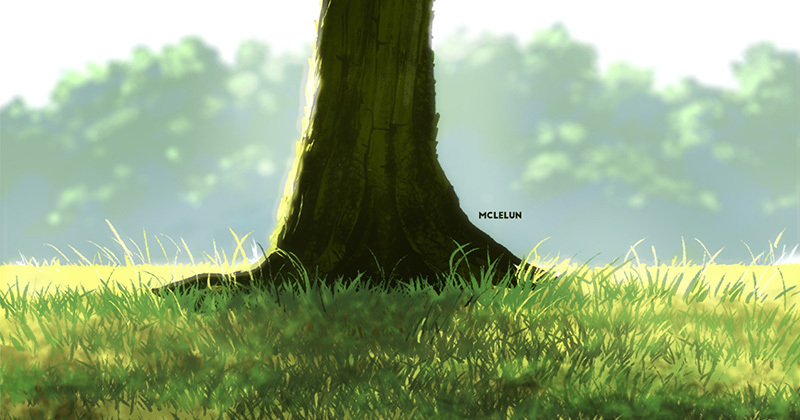 Tree trunk, leaves, grass and distance bushes are all paint with the same brush with some adjustment. For other tree painting tutorial and video, have a look at the following links.